Doris, the founder of the cat sanctuary "C.S.A.F. 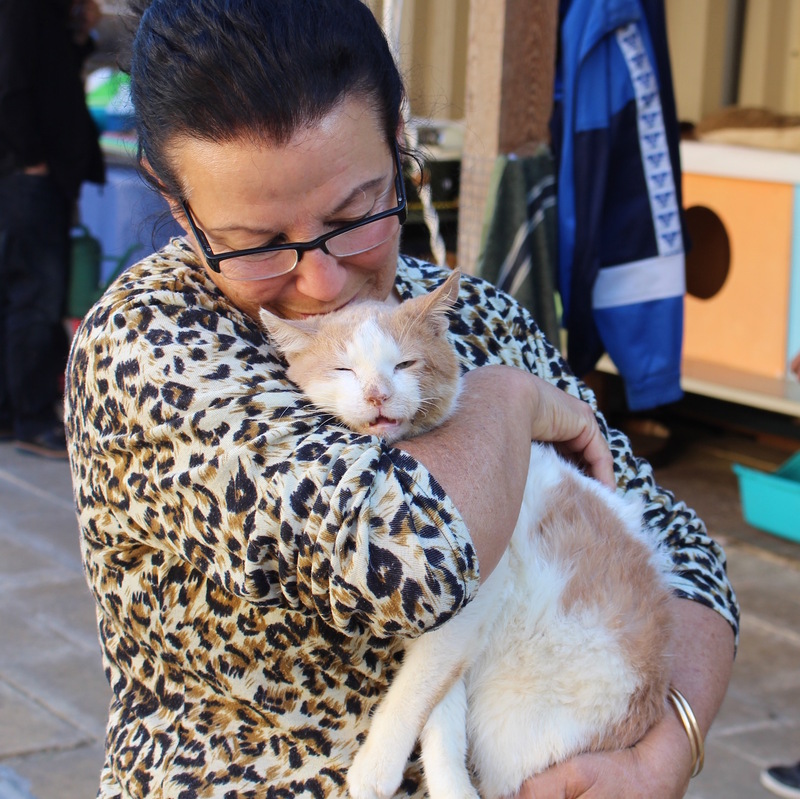 - Carers of Stray and Abandoned Felines" in Cospicua, Malta, and her team are lovingly caring for «Sugar» for ten years. The tomcat fell off a balcony some seven years ago, leaving him all paralysed from head down. Euthanising was no option for Doris' sweetheart. 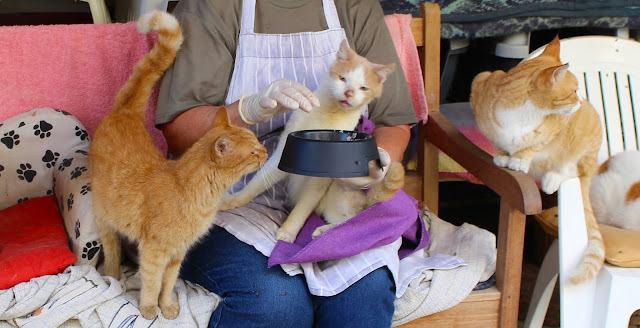 With the help of the volunteers at the Sanctuary - and the other 250 cats - Sugar enjoys being cared for in the cat shelter. Sugar not only gets a lot of attention from the carers, but also from several fellow-cats, some of them often stopping by to cuddle with him in his basket during the night. Sugar might be paralysed, but he is totally aware of what is going on around him. 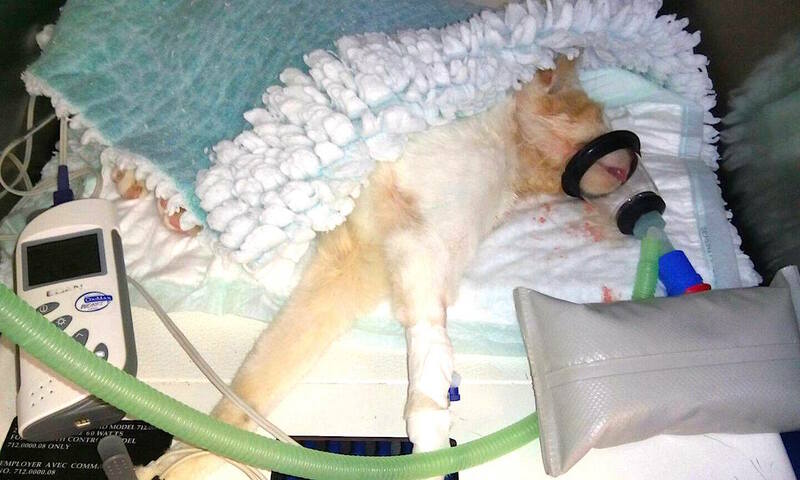 A wonderful example of what love and devotion can do. Blessings to lil' Sugar and to everybody so patiently looking after him. The "C.S.A.F. 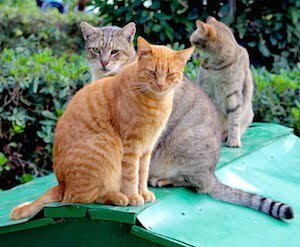 - Carers of Stray and Abandoned Felines" is one of 22 stray cat carer portraits in the new (e)book "Islands of Cats - the humble Stray Cat Carers of the Maltese Islands" - click here to read more.